The Turbosonics ! : Nothing Like Some Free Press !!! Nothing Like Some Free Press !!! 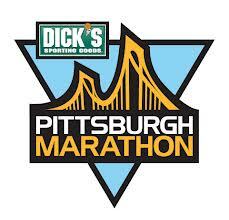 Check out the article in the Post Gazette Weekend Magazine for information about all the great music along the course of the Pittsburgh Marathon. It was a nice surprise to see The Turbosonics' smiling faces staring back at us as we opened to page three. Good luck to all the runners !!! We'll be at the corner of Liberty and 29th Street helping everyone kick it into Turbo!